Sometimes simple is best. No matter how many fancy toys your kid has, they always end up on your lap saying “Mama, tell me a story.” iStoryTime is like a central library for kids’ books, and they wisely left off extraneous features, letting the stories shine. It includes four free books and then you can buy more à la carte, or pay a monthly or annual fee, Netflix-style, for unlimited books. 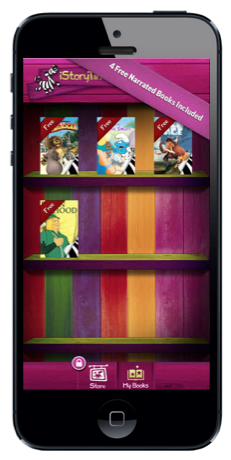 With new books released in the app every week, there is always fresh content to enjoy. 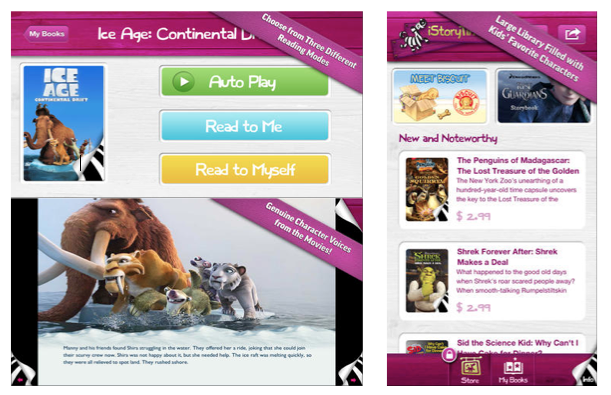 Stories can be narrated or silent, allowing your child to read independently when they’re ready. As Leonardo said, “Simplicity is the ultimate sophistication.” (Da Vinci, not DiCaprio, people.) Download it here for free. A central library on an app! That is awesome.. Thanks for the info. Will pass it on to my niece. She might like this! Wow! Really cool. Nice to know we can get some great apps with the app of the week! I don't have this app but I'm happy to have learned about it. Might download it. Such A Great App I Must Ge tFor The Kids Thank You! Great share! This app looks very cool! That looks like a really cool app. I will be looking into in. That looks like a cute app! I used to love the Smurfs as a kid! This would definitely be awesome for parents. This is the perfect app for kids and they can learn from it. This is perfect app for kids! Good to know for when I have children! this is one of the best app.. so simple yet so grand! Such a great app - I have to check it out! Aww ... I like this. I know I need a good way to get my son to start reading and this is a great idea to put all his favorites in. I'll have to download to check it out for sure!